A National Geographic film takes an even-handed approach to the story of Thanksgiving. CHR Comment: The film should be interesting. The article fails to mentions some important features of the history, such as the way some Indians looked to the Europeans as potential allies against other Indians as well as the role of disease, which was the primary cause of the decimation of the Indian population. Jered Diamond’s “Guns, Germs, and Steel” helps explain the role of disease especially well. 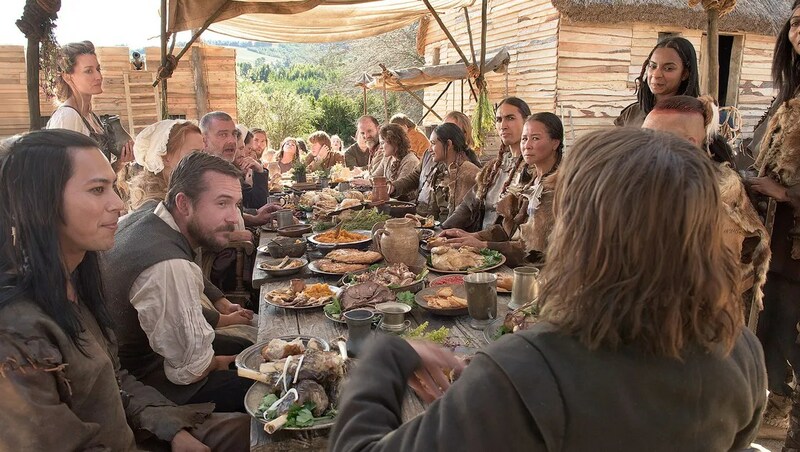 I hope the film likewise describes the Puritanism of the Pilgrims, understanding them as Christians. The second article linked below refers to a documentary in PBS’s American Experience series, which is also about the Pilgrims.